BEX - a Berlin institution. 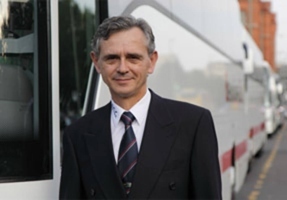 The coach and bus company Bayern Express & P. Kühn Berlin GmbH (BEX) has been very successful in coach and bus charter for over 60 years. Our light gray charter coaches and yellow sightseeing buses are always present on the streets of Berlin and have become a synonym for comfortable coach journeys at fair rates. Of course we are also active throughout Germany and all over Europe. We would like to introduce the business fields BEX Sightseeing and BEX Charter of our coach company to you and answer your questions concerning sightseeing tours and bus hire in Berlin. 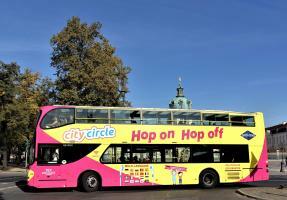 Discover the capital on the City Circle Sightseeing Tours, Berlin’s most popular city tours. The bright yellow open top coaches serve 26 stops on two different routes. We also invite you to take part in an excursion to Potsdam to visit Sanssouci Palace or to Burg in the Spreewald Forest with a punting tour. BEX - your coach company in Berlin for city tours. Coach charter in Berlin with success for many years. It doesn't matter whether you are a private person, representative of a company, school, club or authority – hire one of our comfortable buses for your journey. Transfers, shuttle services, private city tours, school trips or accessible travel – the coach charter team advises you competently. 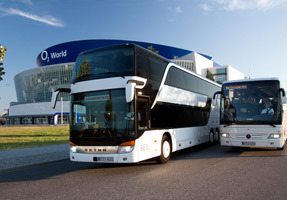 BEX - your coach company in Berlin for bus hire.